There have been numerous studies on the benefits of prebiotics and probiotics on our digestive health. Both of these concepts are good for the gut, there is no denying that. To help you understand what each can do to our digestive tract and our overall health, we provided a brief discussion. Prebiotics are food ingredients that are non-digestible. They stimulate the growth and activity of good bacteria that are naturally present in our stomach, thereby providing digestive and overall health benefits. 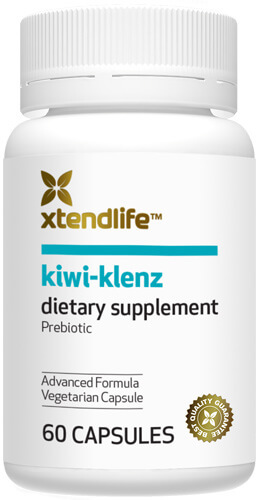 Several plants are known to be great sources of prebiotics, including kiwi fruit, garlic, onion, artichoke, asparagus and others. The best thing about prebiotics is that, being non-digestible, they reach the gut without altering their original form. This means that the original structure is retained, thereby ensuring that their efficacy and ability to perform their primary function are not diminished. They are resistant to heat and cold so food processing techniques or manufacturing treatment do not affect their structure. Meanwhile, probiotics are live microorganisms that can be found in fermented foods and probiotic-based nutritional supplements. They help maintain microbial balance in the stomach and are known for holding off pathogens and toxins that may cause digestive disorders, certain infections and atopic illnesses. There are various types of microbes that are used as probiotics, with bifidobacteria and lactic acid bacteria being the most common. Certain yeasts and bacilli may also be used as probiotics. Some of the more familiar food choices that may contain probiotics are yogurt, soy drinks and miso among others. The benefits of prebiotics and probiotics are numerous. The main one is their impact on the digestive system. Both are particularly favored by digestive supplement manufacturers, given that both offer a lot in terms of keeping the digestive system healthy and well-balanced. Having both prebiotics and probiotics protect the body from common digestive illnesses, including diarrhea, constipation, urogenital infections and other diseases whose origins are often traced back to an imbalanced or unhealthy digestive tract. As most of us probably know, the digestive system is responsible for breaking down the food we eat and in distributing nutrients throughout our bodies, so if something is not working right in the gut, then the whole body may suffer. Bearing this in mind, it is safe to say that both probiotics and prebiotics benefit a person’s overall health. As mentioned before, both are good for the digestive system and the overall health of humans. However, studies have shown that prebiotics may just offer more than probiotics. In a study from the School of Food Biosciences at the University of Reading in England, a group was given probiotic diet while another group was given prebiotic diet. After a week, members of the prebiotic group showed increased numbers of good bacteria, while the probiotic group only exhibited minimal changes in good bacteria population. Other studies have stated that the main concern over probiotics is that they can be destroyed by heat and by the acid in the stomach, and even by the passage of time. On the other hand, prebiotics are non-digestible, so they remain intact even when processed and even when they pass through the digestive system. Furthermore, prebiotics are necessary for probiotics to work, while the former can be useful with just the natural good bacteria already present in people’s digestive tracts. Most experts agree that prebiotics do provide more benefits compared with probiotics. However, having both will be highly advantageous to the digestive system and physical health of a person, given that the benefits of prebiotics and probiotics are aplenty and have been proven by extensive research efforts.